But for most of the humans in Bon Temps, the vamps are mysterious seductive creatures-and they don't even know about the weres. Until now. The weres and shifters have finally decided to follow the lead of the undead and reveal their existence to the ordinary world. At first it seems to go well. Then the mutilated body of a were-panther is found in the parking lot of the bar where Sookie works. The victim is someone she knows, so she feels compelled to discover who-human or otherwise-did the deed. “You forgiven me?” he asked before he’d taken a gulp of coffee. His voice sounded hoarse and thick. I thought he’d been crying. Even early on during the big coming out for the Were community, this mental exchange by Sookie as she watches a shifter on TV is telling about her new harsher perspective on life. Alcide had made a good choice. Plus, if someone killed her right away, well . . . she was the new girl. Curiously the big Were announcement that launches the opening of the book plays little bearing on the events to come. Just like a mystery writer to throw out a red herring. Instead the biggest mystery of Dead and Gone is what is happening to Sookie. Has she finally reached some vague breaking point or is there some supernatural influence at work. We have never seen Sookie this confused, uncertain and angry. I felt a moment of disconnect, as if I were standing back from my own life and viewing it from afar. The vampires owed me money and favors for my services to them. The Weres had declared me a friend of the pack for my help during the just-completed war. I was pledged to Eric, which seemed to mean I was engaged or even married. My brother was a werepanther. My great-grandfather was a fairy. It took me a moment to pull myself back into my own skin. My life was too weird. I had that out-of-control feeling again, as if I were spinning too fast to stop. “I don’t know if the-comfort-I feel with you is the blood bond exchange or a feeling I would’ve had naturally,” I said, picking each word carefully. And thanks to my own dazed affection . . . or warmth . . . or infatuation . . . for the Viking vampire, I had done exactly what he’d asked without consulting my common sense. We sat for a while in silence. I felt exhausted but oddly peaceful. I should be giving Eric hell about his high-handed handling of Quinn’s request and the knife presentation. I should be asking him all kinds of questions . . . but I couldn’t summon up the necessary fire. I was mad at almost everybody when I drove home that night. Not only was I afraid they’d kill each other, I realized that I was really tired of people popping on and off my property like it was a train station on the supernatural railroad. It was almost impossible for me to feel anxious. I noticed in a distant kind of way. And yet surely I ought to be upset and angry? Also, he picked some unwise words, Saying, “ I’ll enjoy killing you for my lord,” is just not the way to make my acquaintance. He was as deep inside me as he could get without an operation, and he glowed above me, his white skin shining in the darkness of the room. I was completely and utterly lucid for the next hour, which was the longest of my life. I found it bewildering-and utterly shocking-that I could feel such pain and not die of it. I would have been glad to die. But I’d looked at death too closely-close enough to see all the pores in Death’s face-and I’d suffered too much. I wouldn’t bounce back this time. “You want to own your own life,” Eric said. Dead and Gone is a big departure from the safe and familiar Sookie Stackhouse that we all know and I think one of the best and most challenging books in the series to date. Highly recommended. I loved this book. :) I can't wait for the next one. I really enjoyed your thorough review. When I finished this book I didn’t really know what to think and couldn’t pinpoint why I was feeling that way. I finally decided I probably needed another read through. But after your review I feel much more settled. You make excellent points and frame the story in such a way I can now understand those feelings. Thanks so much! I love the fact that Charlaine Harris took a lot of risks in this book. I always respect authors who do that and I feel she dealt with them well. Great, Doug thanks for the review ! Doug spoke about CH and her book recently on my radio show to RAVVEEEE reviews! Love Sookie. 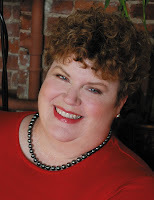 Love Charlaine Harris. I think this is a good book; one of the better ones in the series in awhile. I was going to post my review of this one this week, too. I see your point on the book being challenging, but what I'm waiting to see is the outcome of all of what happens this time. How it all pays off will really tell me if this book in particular was challenging or not. I suppose it might be superficial to want same of the levity past books have had, but I do still wish it had had moments like Sookie throwing the Nora Roberts hardbacks at her opponent in From Dead to Worse. Scenes like that brought a balance to the series, which has always been dark. Sure not as dark as this installment, but it hasn't been all cheerful sunshine certainly. I dunno, I can't say this was a particularly great installment for me. I feel like there wasn't the same level of character development this time, but then I've never been a fan of only using the dark and twisted to elevate a character. Michelle at least we have the short story collection this fall . . .
Skye what a lovely comment. Thank you! Princess Allie she definitely took risks in this one. I just loved it. Wendy I am almost jealous that at least you have some Sookie to look forward to. Thanks Dallas and for the review link. Loving True Blood in Dallas rocks for all things Sookie! KMont I completely agree with you about there needing to be a payoff, but I have complete trust in Charlaine Harris. There were still a few moments of Sookie's humour but it's true there wasn't a lot of sweetness and light. I have the impression that this book is an attempt to push Sookie's boundaries, a case of "what doesn't kill you makes you stronger". Of course it remains to be seen if this is the case because Sookie has a lot to bounce back from. The review over at Dear Author had an interesting perspective saying this book is Sookie's graduation into adulthood along with the realization that fairy tales don't come true. I just love this series so of course I loved this one but I did have a few problems with it. Hi Ladytink this Sookie release seemed to stir up more than the usual debate. Lots of folks thought Sookie wasn't her same old self.